Whether your storing goods for a long time or just while you get settled in your new home, Ballina Removals has you covered. 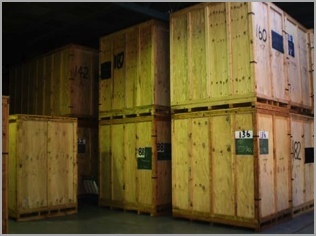 Here are a few of the many benefits of choosing Ballina Removals for your storage needs. Access to our storage facility is limited. We require 24 hours notice prior to access so that we can ensure we have a licensed forklift driver is on hand to manoeuvre the modules. There is no charge for accessing your storage module. We suggest that important files or clothes/toys that you may need to get out of storage early are marked clearly so that they are put towards the front of the storage containers. Please also ensure that you have notified our Head Office that you may need to get to certain items so that we are not wasting your time as well as ours in trying to locate required items. Please note that flammable items are prohibited from being stored at any of our facilities.